Norman Seabrook, president of the New York City Corrections Officers’ Benevolent Association, is recounting a phone call he received two weeks ago from a distraught woman named Melanie. After almost 20 years working under the relentless stress of a New York City jail, Melanie’s corrections officer girlfriend had had enough. New York’s corrections system has come under scrutiny since the death of inmate Jerome Murdough, who was held in an overheated cell in the Rikers Island jail; a subsequent report by The New York Times detailed the mistreatment of mentally ill inmates. Around the same time, New York’s Daily News reported a surge in assaults on the prison’s staff by inmates. According to the New York Post, a “blood roster” was found recently in a cell on Rikers Island; it contained the names of 10 corrections officers targeted by the Bloods gang. Rarely mentioned in such reports is what experts see as a growing problem: the mental health of corrections officers, who, according to one study, have rates of post-traumatic stress disorder (PTSD) comparable to military combat veterans. “Everybody is talking about prison reform, but corrections officers are being left out of the conversation,” says New York City Council member Helen Rosenthal. According to a study by professors Steven Stack and Olga Tsoudis of Wayne State University, the risk of suicide is 39 percent higher for these men and women than in all other professions combined. A 2009 study by the New Jersey Police Suicide Task Force found that corrections officers had double the suicide rate of police officers. Other studies have found reduced life expectancy, which is linked to stress-related conditions such as high blood pressure, heart attacks and ulcers. “You are in a constant state of fight or flight,” says Brian Dawe, a former corrections officer in Massachusetts and co-founder of the American Correctional Officer Intelligence Network. Caterina Spinaris is a psychologist who, in 2003, founded Desert Waters to study and provide relief for corrections officers’ mental health. A 2013 study she conducted among corrections officers found that 31 percent of them suffered from PTSD, more than four times the national average and on a par with veterans returning from armed conflict. Some 17 percent were suffering from both PTSD and depression. Without a proper outlet, many officers turn to substance abuse because, as Seabrook explains, they “can’t make that transition between 'This is my family and this is my job.’ So they relate to Johnny Walker, Grey Goose, Jack Daniels.” Indeed, Spinaris’s research found a much higher rate of alcohol use among officers suffering from PTSD than among those without the disorder. The cost of the problem is tremendous. According to Spinaris’s research, individuals with depression or PTSD averaged approximately 30 percent more missed work days than individuals who were disorder-free. Those with both depression and PTSD symptoms took off more than double the time. All too often, it is inmates who suffer the consequences. Statistics on assaults by corrections officers are hard to come by, since incidents often go unreported. Occasionally, abuse cases come to light. In 2010, Lloyd Nicholson, a corrections officer at Rikers Island, was sentenced to six years in prison for a series of assaults against inmates. Experts say a contributing factor in some cases may be the highly stressful environment in which corrections officers operate, as well as the fundamental lack of support and mental care provided to them. Abuse can also cut both ways. In Florida, a case has emerged recently in which a female corrections officer alleges she was sexually assaulted by 17 inmates. “I was devastated. I was traumatized. I was physically and sexually assaulted,” the unidentified officer told NBC 6. In New York, assaults on officers by inmates nearly doubled in the first nine months of the fiscal year, according to the Daily News. With over 2.3 million inmates, the United States has a significantly higher incarceration rate than any other nation. The federal government spends around $7 billion a year on the prison system, while states spend another $52 billion, according to 2012 figures from the National Association of State Budget Officers. Advocates say staffing has not kept pace with the rise in the number of inmates. Efforts are being made to address the problem, but with mixed success. 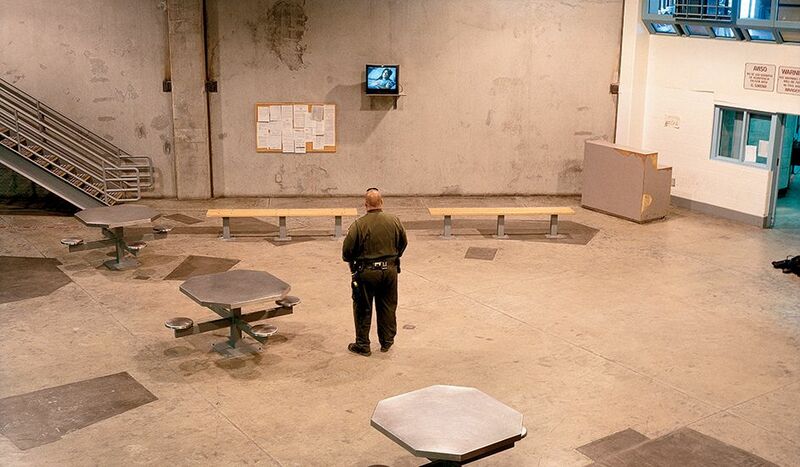 Nationwide, state and local prisons are overseen by state departments of corrections. Most facilities have an Employee Assistance Program, which provides assessment and referral services for all types of difficulties related to health, family, marital, drug, alcohol, emotional, stress and financial problems. However, EAPs vary from state to state. For Susan Jones, a former warden in Colorado, the EAP program is “amazing,” and Don Steele in Massachusetts says it can be “very helpful.” But for Seabrook in New York, the program is totally ineffective. 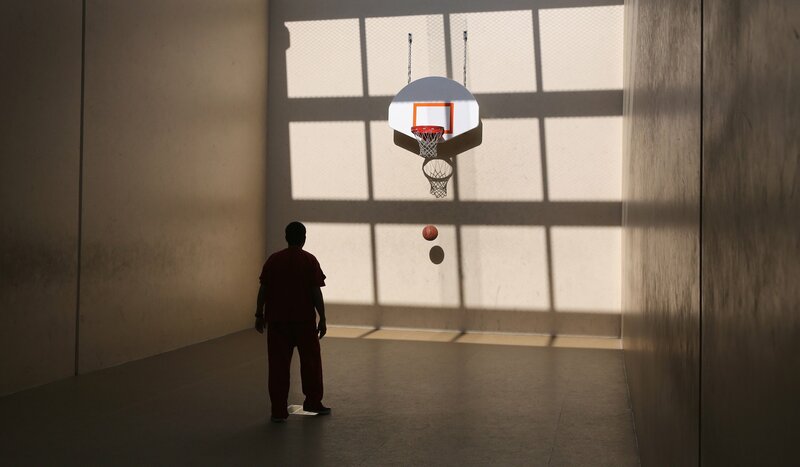 Working with the National Institute of Corrections (NIC), an agency within the U.S. Department of Justice’s Federal Bureau of Prisons, and independently, Spinaris has helped launch training in prisons across the country. The aim is to combat what she calls “corrections fatigue,” an umbrella term that describes the accumulation of such problems as depression, anxiety and PTSD. The NIC works with federal, state and local corrections agencies. Most corrections academies offer 16-week training programs. In New York, according to the city’s Department of Correction, officers receive 35 hours of mental health training, much of it concerned with recognizing the signs of problems in inmates. A spokesman pointed to a support program called CARE (Correction Assistance Response for Employees) for officers and their families, which, he emphasized, is completely confidential. Experts such as Olivia Johnson, author of papers including “Mental Illness and Risks for Law Enforcement,” say that there should be a national agency to provide mental health support and that it should be independent of the administration. At a broader level, what’s needed is a change in attitudes. The job is hard enough without what many officers describe as an inherent sense of shame about what they do, perpetuated by stereotypes of the big bad prison officer. This story has been corrected to make clear the NIC deals not only with federal prisons, but also with state and local agencies.